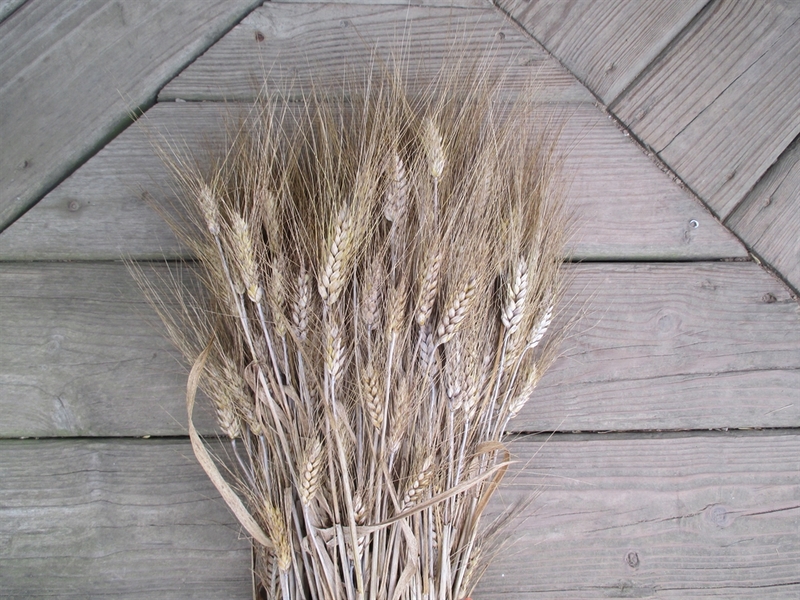 This landrace is from the Houran plateau of northern Jordan and Southern Syria. Seed was collected by Vavilov in the 1920’s. 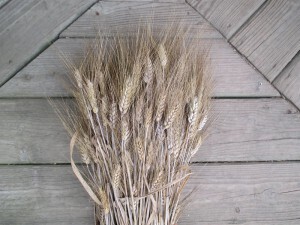 He stated that it was a wheat of exceptional quality, early maturing and resistant to lodging and drought. I have found it to be exceptionally lodge resistant after two seasons with extremely heavy downpours. Not a single stalk has lodged. I have had some difficultly with fusarium, more so in 2015 than this last season (2016). I selected heavily in 2015. 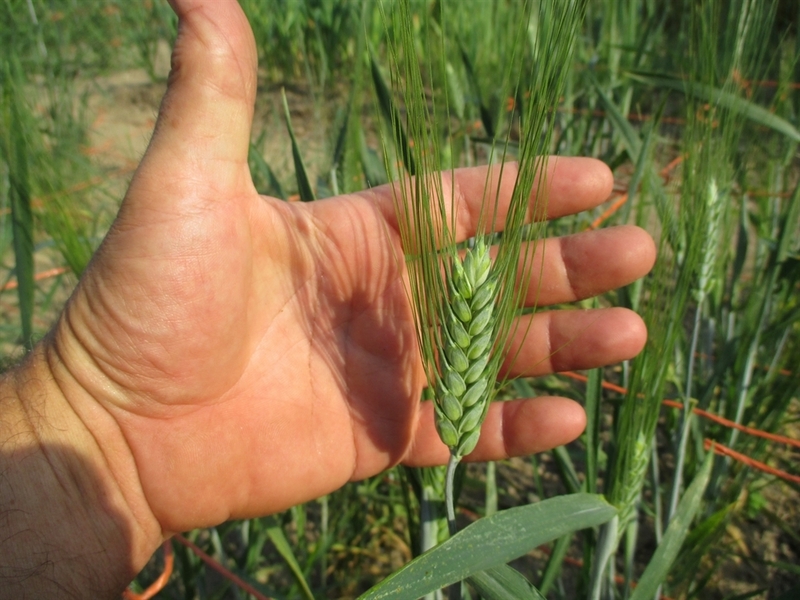 The plants this season were more robust, with better grain fill and much less disease. My seed stock came from The Medomak Valley High School Heirloom Seed Project. This is second year seed. 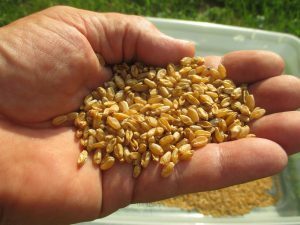 I am experimenting with this as a winter wheat for the 2017 season. 2017 Update. Hourani did not survive the winter as a fall planted crop here in northern Indiana. I recommend it as a spring planted wheat.